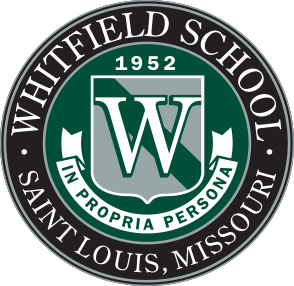 Without widespread support from our community, the school would not have the resources needed to provide the uncompromising academic and character education our families and students expect from Whitfield. When 100% of our families make a gift to the Annual Fund, they demonstrate to the community that they are invested in Whitfield’s past, present, and future. The Annual Fund is sustained by gifts of every size, at every level—every gift counts, no matter the size. In fact, in 2017-2018 gifts of $10 - $999 added up to $114,198, making a direct and immediate impact on our students and school. 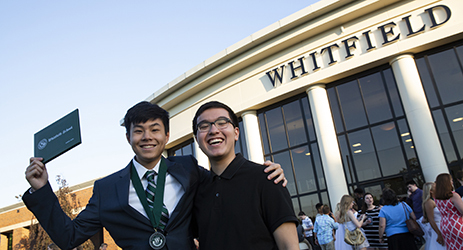 As alumnus Zach shared, he learned the incredible value to teamwork during his time at Whitfield—with the support of our entire community in giving to the Annual Fund, anything is possible. 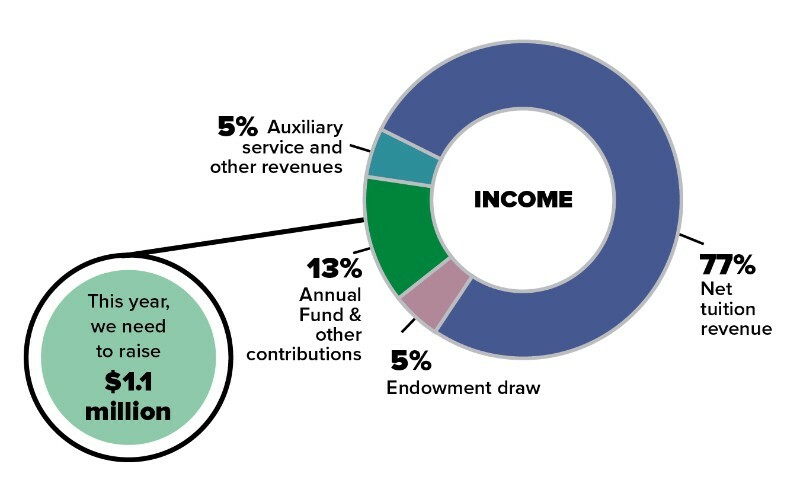 The Annual Fund is the collection of charitable contributions made by members of the Whitfield community: Trustees, alumni, parents of alumni, current families, friends, faculty and staff. 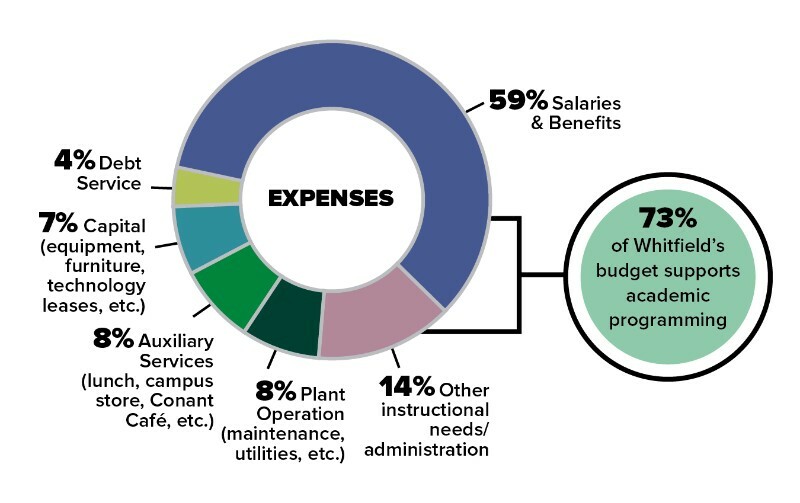 Each year, contributions to the Annual Fund constitute 13% of Whitfield’s operating budget. These unrestricted gifts are the lifeblood of the school. They are flexible and available for immediate use to cover what tuition does not. Why should I support the Annual Fund? 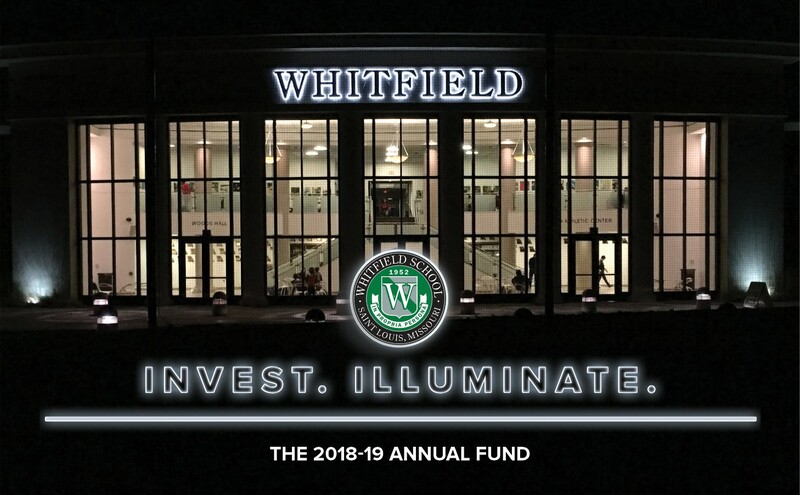 Annual Fund gifts support teachers’ salaries and benefits, keep our facilities safe and clean, and strengthen the athletic and extracurricular programs that round out Whitfield’s robust academic curriculum. 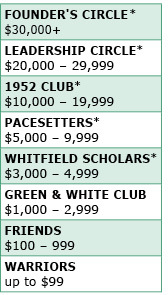 Gifts to the Annual Fund positively impact the school experience for every student at Whitfield. Tuition alone does not cover the cost of a Whitfield education. The school relies on charitable gifts to cover this gap of roughly $3,000 per student—and asks every family to consider making a gift of $3,000. However, we know that some families cannot make a gift of this size, and others can give so much more. We ask you to make a gift that is right for your family—every gift makes a difference. Nearly 60% of the Annual Fund directly supports teachers’ salaries and benefits. Teachers are the heartbeat of our community. Generous and consistent support from our families has a tremendous impact on Whitfield’s ability to retain talented and dedicated faculty members who are committed to the school’s mission. 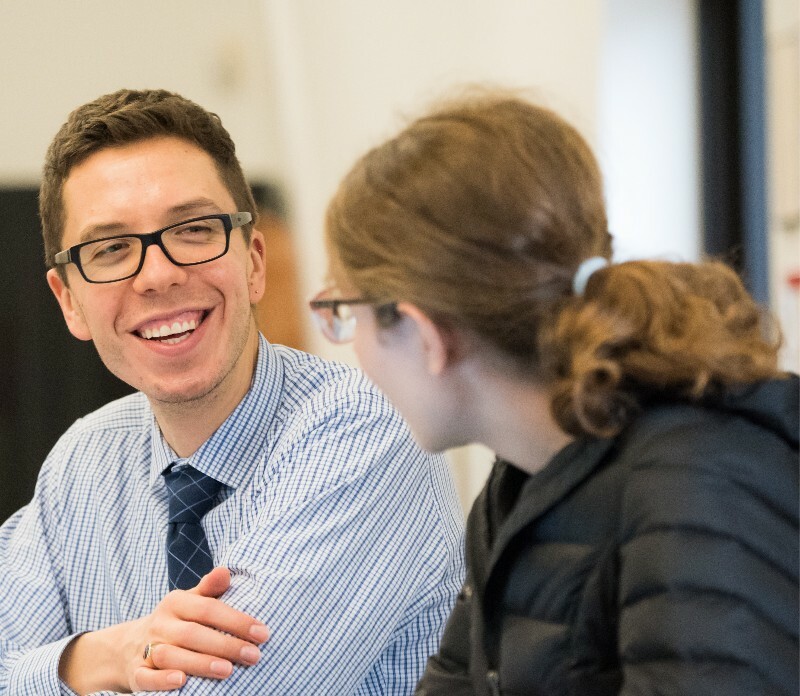 By making a gift to the Annual Fund, you are doing your part to ensure that teachers like Michał continue to mentor, challenge, inspire and support our students every day. Are Whitfield families obligated to give? The culture of philanthropy has always been an essential part of the Whitfield experience. Whitfield's success is the result of the generosity of those who have given in the past, as well as those who give today. We ask that every member of the Whitfield community embrace this spirit and give a gift that is meaningful to them. We encourage you to uphold the tradition of giving to the Annual Fund, and take pride in being a member of our giving community. Are we able to double our gift? It is possible that you can double your gift through matching gift programs! Many employers sponsor matching gift programs and will match charitable contributions made by their employees. Check with your human resources department to see if a matching gift program is offered through your company. *Contributors at this level are invited to an annual reception with the Head of School and Whitfield's Board of Trustees.